Attraction. Scene. Energy. Internationalism. Destination. Artistic production in the 1960s looked to New York. The center for the development of visual arts during the second half of the 20th century, the American city attracted many artists whose interests had flowed through Europe - birthplace of the historic avant-gardes - and went to live in the Big Apple, epicenter of change and experimentation. Fundación Proa presents Imán: Nueva York, a historic exhibition curated by Rodrigo Alonso that brings together the productions of prominent local artists. Pieces, projects, documents, books and photographs reconstruct a period of crucial interchanges for the visual consciousness of that time, in which many Argentine artists traveled to New York while Buenos Aires also entertained curators and artists. Imán: Nueva York explores the projects and works completed in Buenos Aires that reached the level of significant international presence, and presents an overview to reflect on the role of institutions at a moment in which a new form of producing, generating and disseminating contemporary art was being born. 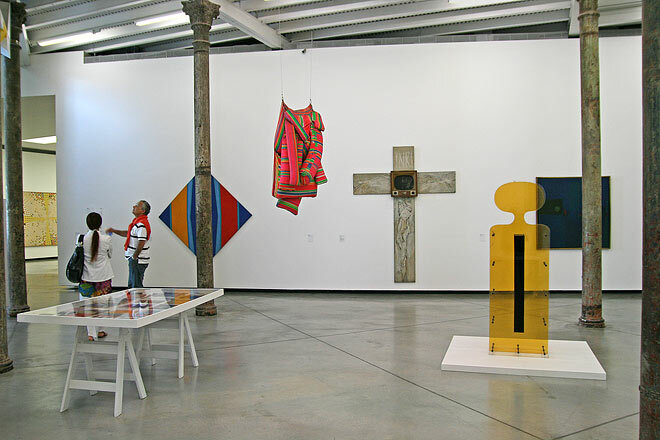 The Guggenheim Fellowships, the Instituto Di Tella, the Córdoba Bienales Americanas de Arte, the Buenos Aires Museo de Arte Moderno, the Museo Nacional de Bellas Artes and the Bonino Gallery in New York are the institutions that lead this interchange. This exhibition examines the 60s and presents the transformation of local art from lyrical to geometric abstraction, and from there to conceptual art, reconsidering the dialogue with the hegemonic centers. The exhibition’s title, Imán: Nueva York, alludes to the legendary 1964 exhibition in New York’s Bonino Gallery, which reflected the magnetic draw of the city for many Latin American artists. 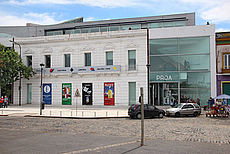 Internationally renowned cultural center located in the traditional La Boca quarter. Exhibitions, events, education programs.